NAPERVILLE, Ill. (WLS) -- Hundreds of Cubs fans braved single-digit temperatures and bitter cold early Saturday to see the World Series Trophy. The trophy, also known as the Commissioner's Trophy, was designed by Tiffany & Co. in 2000. 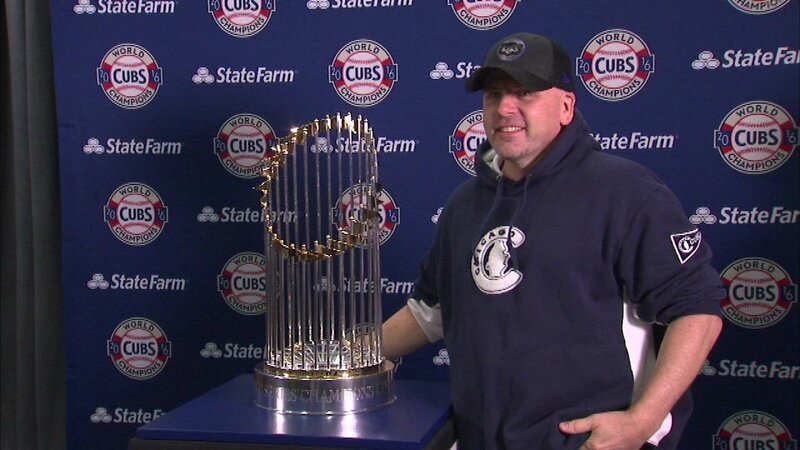 The trophy was at the Naperville City Hall, but many other stops are on the itinerary as part of the Chicago Cubs' Trophy Tour which allows fans to continue the The World Series celebration. The tour is scheduled to continue for the next several weeks.